A food chain shows how plants and animals get their energy. A food chain always starts with a producer. This is an organism that makes its own food. Most food chains start with a green plant, because plants can make their food by photosynthesis. A living thing that eats other plants and animals is called a consumer. A predator is an animal that eats other animals. The animals that predators eat are called prey. Predators are found at the top of a food chain. 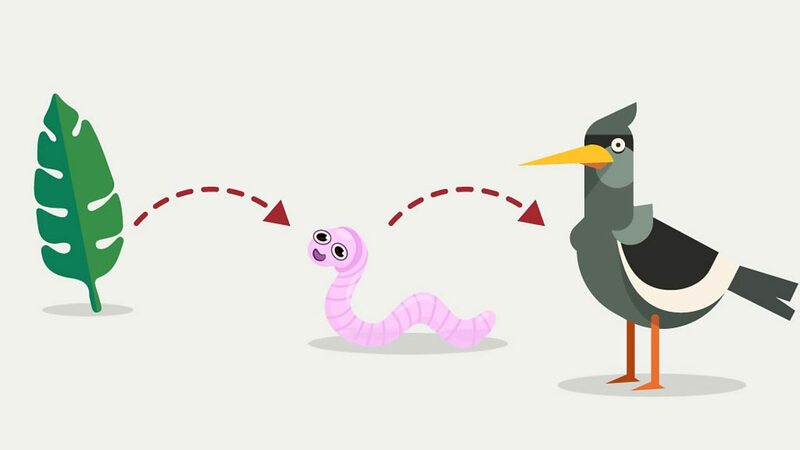 This food chain shows a leaf is eaten by a worm, which is then eaten by a bird. The arrow means 'is eaten by'.